It’s been a while since I’ve been back to Cardiff (apart from trains passing through), but last weekend I went back to attend Lou Lou’s Vintage Fair. 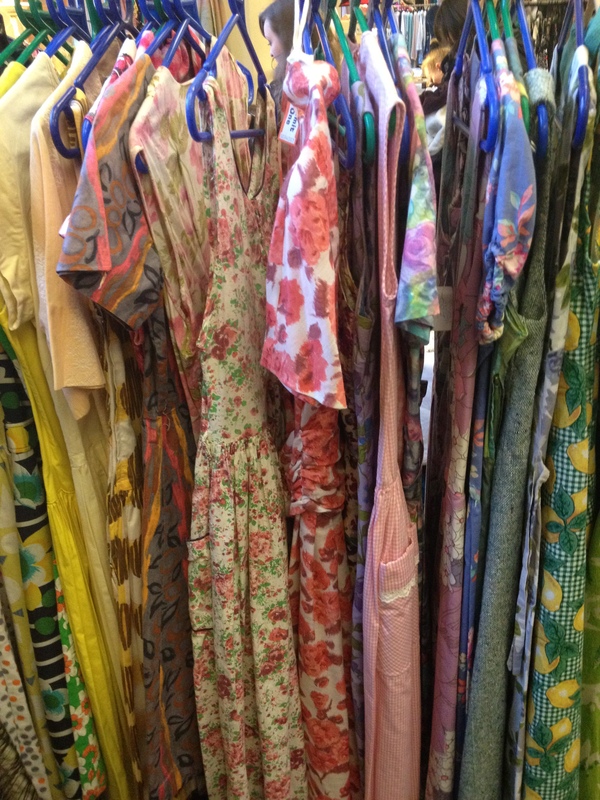 Cardiff is a great place for vintage hunting and the city has certainly missed a regular vintage event since the Blind Lemon and Rose Tinted fairs ceased. The event was held in City Hall and there was an entrance fee to attend, but there was a good selection of clothing and accessories on offer, and the space was big enough to accommodate quite a few stalls. The fair seemed to have a number of on-trend vintage items: tartan dresses, leather bags and tweed jackets; and there were even little extras such as a pop-up parlour for anyone wanting a makeover. 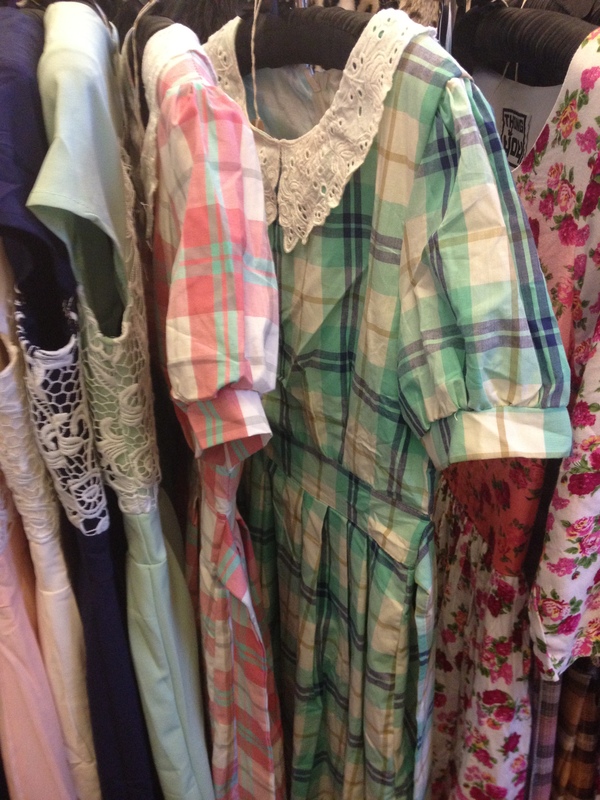 There was a mixture of old and new items, and even dresses made from reclaimed fabrics. Sadly, I didn’t buy anything as I didn’t really see anything I wanted, although there were some great dresses and skirts on offer. Some of the prices of the clothes did seem a little steep though. The dress above, which was handmade from a thin fabric, cost £75. In my opinion, this was far too expensive for what it was, although I really loved the print. Not all of the stalls had such high prices, but this particular stall seemed to be marking up their clothes a bit too much. Considering that you can buy vintage much easier than you used to be able to, these prices seemed wrong to me, especially for a dress that was made by hand and (I’m assuming) not to sell. I find that so sad. What about you? 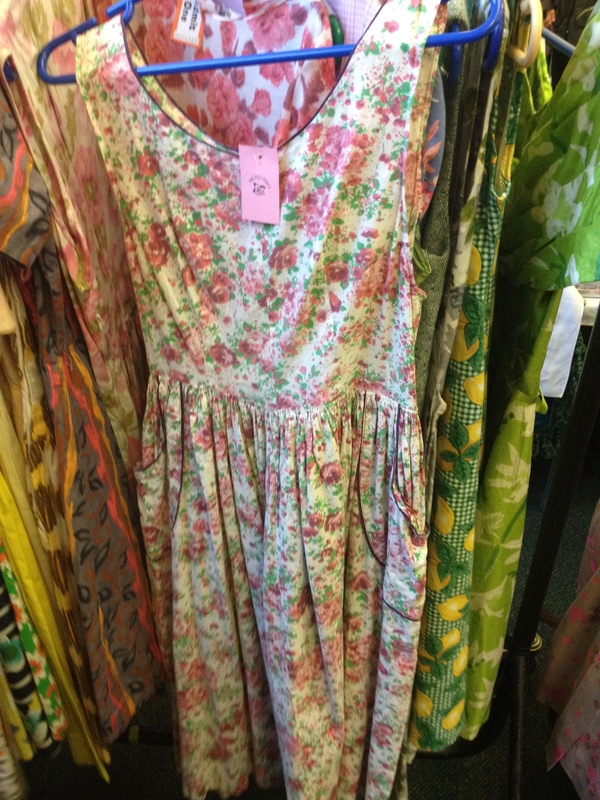 Do you think vintage is overrated these days? Is it too expensive? Let me know in the comments.